The Dolomites is about as spectacular a venue as you could imagine. The history, the culture, the food mind boggling amount of limestone all come to provide one of the best climbing destinations on the globe. 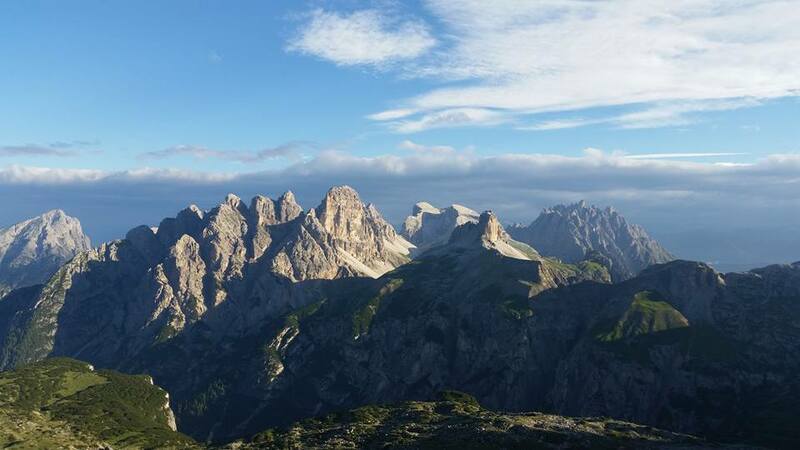 There is literally something for everyone in the Dolomites, whether want to explore the via ferattas with your family, if you just starting to climb or if you are a seasoned climber, you will not be disappointed. Our Dolomites programs are set up on an individual basis depending on your skills and ambitions. However, below is a suggested itinerary that provides a great sampling of everything the Dolomites has to offer. Please contact us to customize a trip that fits your schedule and your desires. From our home in Switzerland, the Dolomites is about 7hrs away so it is possible to coordinate logistics and we could pick you up in Milan or Venice on the way, which would eleviate the need for a rental car. Skills and fitness: There really is something for everyone in the Dolomites so as long as you are adventurous and motivated you are bound to have a great time. Time of Year: The climbing season begins in late June and runs until mid September. July and August is the prime time, but it is also busy. The early and late season is less crowded, but afternoon thunder storms can be replaced by snow showers. The Dolomites region is so vast however, we can almost always escape to better weather if need be. Day 4,5: For the next two days we will plan to stay at a hut. Now, the term “hut” is used very liberally here as some of the huts rival hotels in many parts of the world. A good option could be the Sella pass region, where there are many long routes in a beautiful setting all within a 30 min walk from the road. Cost*: 2400$ per person based on a 2:1 ratio.